The Therapeutic Recreation (TR) Department is dedicated to providing year round recreation and leisure opportunities for people with developmental disabilities. The goal of the TR department is to promote an active leisure lifestyle that improves social, physical, cognitive and emotional functioning and health while enhancing each participant’s abilities. With highly qualified staff at programs, participants can register for many types of programs. By providing a variety of social, cultural, artistic, and culinary programs, as well as sports, fitness, community outings, horticulture, and special events, participants can recreate in the day, evening, or weekend. Benefits to participation may include improving social skills, enhancing self–esteem, improving overall health and well-being and physical ability, enhancing communication skills, constructive use of leisure time and eliminating boredom, and reduction of stress and anxiety. Come discover the benefits with us. If you would like to be included in local recreation programs offered by your municipality, call us and we will assist with the inclusion process and help with activity modification or adaptation. For programs when in-person registration is required, the doors to the TR Activity Center will open at the designated start time of registration and will sign the TR sign in list. Doors will not open earlier regardless of weather. The TR sign in list is the only official list. Registration will begin promptly at the time specified in the brochure or flyer and you must be present when your name is called. Names will be called as they appear on the list. If a person's name is called and they are not present, their spot is forfeited. Participants may register one other participant at the time of registration. No email registration will be accepted. The TR Activity Center is located in North Branch Park; a public area that is open from dawn to dusk. Since individuals are free to be in the park from dawn to dusk, the TR department holds no responsibility as to when people decide to stand at the door and wait for it to open. The TR department strives to provide quality therapeutic recreation services to individuals in our programs. Please review our policies and procedures. PDF If you have any questions about the policies, please feel free to contact the TR department at 908-526-5650. 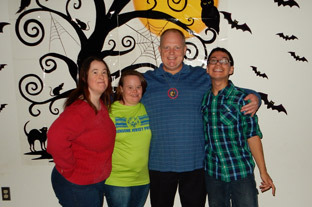 The Therapeutic Recreation Department recognizes that some people with disabilities may choose to participate in local recreation programs and/or camps with persons without disabilities. 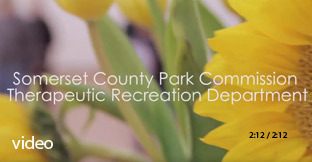 The TR staff is here to help support inclusion by assisting other Somerset County Park Commission departments and municipal recreation departments with program adaptation or modification, behavior management support, and staff training. When a referral is made, TR staff will conduct an assessment of a person's abilities then develop a written plan that includes modifications and supports necessary in order for the person to successfully be included in a program or activity. Call Dina Trunzo, CTRS at 908 526-5650 for more information. Remember, inclusion benefits everyone! To be placed on our mailing list, find out about registration, or obtain more information about our programs, please contact the Therapeutic Recreation office at 908 526-5650. Individuals with speech or hearing impairments, please call the Relay Service @ 711. We are here to help you recreate! Registration for the 2019 winter/spring season for young adults and adults will be held on Saturday, January 5 from 9:00-10:00 am Please review our registration policy listed here on our webpage under TR Registration Process for General Programs. You can preview the brochure below. Don't let the cold days and now get you down and keep you inside. Come join us at the TR Activity Center for a season complete with fun and friends. Hopefully you will find a program that will inspire you to register. We work to ensure a fun and trusting environment for you or your child that is conducive to learning while engaging in recreation activities. 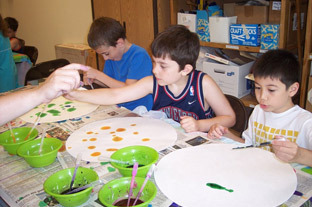 By participating in the many programs offered for various ages, individuals participate in activities that promote skill development and social enrichment. Why should you or your child participate in TR programs? Jump into 2019 by joining at least one of the many programs we have planned. Our cooking programs include Italian Classics where you will learn to cook Italian classic dishes. You will learn how to create One Pot Wonders with simple one pot recipes that your family and friends will love. Feeling creative? Then register for Make It with Paper, Trash to Treasure Crafts or Crafting with Flowers and Herbs. Fitness programs are always a hit, and this season we have added some excitement to the fitness programs. Other programs include Movie Night, a Coffee House, Improv Class, Golf, Campfire Cookout, and Dining Out to name a few. Our trips will include Jenkinson's Boardwalk, seeing the basketball wizardry of the Harlem Globetrotters, and a trip to the Turtle Back Zoo. Teens can be a part of hip hop dance class, a mad science program, dining out with friends and more! There will be plenty of programs for everyone's skill and interest level. If you have questions or if you want to receive a flyer/brochure please call the TR department at 908 526-5650. Individuals with speech or hearing impairments, please call the Relay Service @ 711. 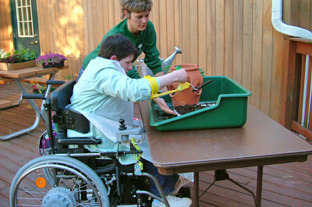 A summer camp program for children with learning disabilities, Asperger's Syndrome or a mild intellectual Disability, ages 7-17, which encourages the development of recreation and social skills and enhances self-confidence and educational growth through the participation in a variety of activities including arts & crafts, sports & games, music, cooking, trips, and swimming. The camp will begin on June 24. New this year will be two 3-week sessions options. Spaces are available on a first come-first served basis and campers must reside in Somerset County. Applications will available in late January/Early February. For additional information please call 908 526-5650. *ACCEPTANCE WILL BE AT THE DISCRETION OF THE RIDING INSTRUCTOR AND TR STAFF AND BASED ON THE AVAILAIBLITY OF AN APPROPRIATE HORSE THAT CAN SUPPORT THE RIDER'S WEIGHT. CLASS ASSIGNMENT WILL BE BASED UPON THE RIDING AND FUNCTIONAL ABILITY OF THE RIDER, AND NOT AGE, TO ALLOW FOR PROGRESSION TO A HIGHER SKILL LEVEL. Birthday party packages are available on select Saturdays. Click here for brochure. For additional information, please call the Therapeutic Recreation office at 908 526-5650.